Home/Cloud 101: What is Private Cloud? 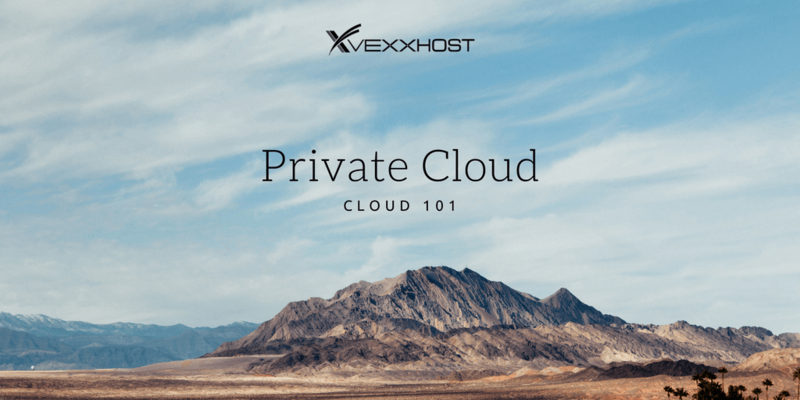 In this second part of Cloud 101, we will discuss what the private cloud is, its benefits and how it differentiates from the public cloud. Private cloud is a model of infrastructure that delivers cloud computing services that are fully dedicated to a single organization. The single-tenant environment allows businesses to have all the advantages of a public cloud while having more secure and customizable cloud resources such as compute, storage and networking. There are two deployment models possible for a private cloud. The hardware can either be hosted on premise or at a service provider’s datacenter. On-premise deployment model means that the company’s cloud infrastructure is hosted within its own data center. This offers a higher level of security but limits scalability due to the fact that physical servers need to be purchased and configured every time capacity requirements increase. This model also puts the weight of the capital and operation costs of the physical servers on the business. In the second deployment model, the cloud service provider bears the costs of acquiring and maintaining the physical servers which result in more predictable monthly costs as it eliminates the unexpected fees of server repairs or replacement. Hosting a private cloud at a service provider’s datacentre also eliminates the requirement of having an in-house IT department to maintain, upgrade or backup physical servers. When opting for a private cloud, businesses reap all the benefit of the public cloud which includes scalability, agility, and the ability to create multiple machines for complex computing jobs. However, in terms of security, private clouds offer higher levels of control and privacy. The increased security is a result of firewalls as well as the internal hosting used to ensure that sensitive information is not accessible to third-party providers. This makes private cloud ideal for larger corporations or businesses working in highly regulated industries with strict governance obligations such as finance, health, and insurance. In addition, private clouds offer more in terms of customizability. The options available to customize compute, storage and networking are more flexible which allows businesses to curate the ideal solution to fit their needs. It is important to note that private and public cloud are not mutually exclusive. A private cloud can be used in combination with the public cloud to create a hybrid cloud environment. By using a hybrid cloud, businesses can benefit from cloud bursting, which is the ability to expand and retract services based on changes in capacity needs. This allows businesses to scale computing services to the public cloud when computing demand increases. Both deployment methods, as well as both the public and private cloud models, have their merits. The decision between which combination is best for a business depends entirely it’s budget, security and scalability requirements. Hind Naser2017-08-08T18:09:42+00:00July 21st, 2017|Comments Off on Cloud 101: What is Private Cloud?